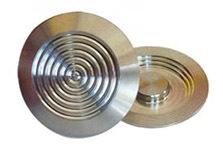 Novaproducts Global offers a large range of different Stainless Steel Tactile designs to allow for your exact choice. 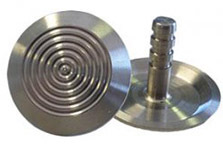 Stainless Steel Tactiles are designed and manufactured to comply with the AS/NZS 1428.4.1.2009. They are ideally designed to be installed onto pedestrian surfaces such as as Stairs, Ramps, Landings, Escalators, Travelators, Pedestrian Crossing Points, Waiting Platforms, Public Transport Facilities, Schools and Childcare Centres etc. We have two ranges. Series I is our standard range which are stocked items, however Series II consists of TGSI which are not generally stocked and could be up to a 6 week lead time. 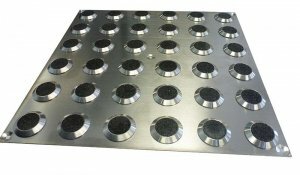 Scroll down to view all our stainless tactile designs. 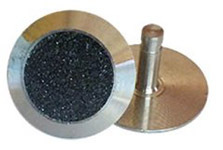 Stainless steel Top Deck Tactile has a non slip insert for extra slip resistance. The TGSI comes in two different options. Topdeck 2814 has a Long Stem of 20mm and also available is the Top Deck 2815 which is a Flat back Top Deck TGSI (no stem) . Top Deck Tactiles Standard insert colours are Yellow or Black. Refer to Installation Manual from Novaproducts Global for further information. 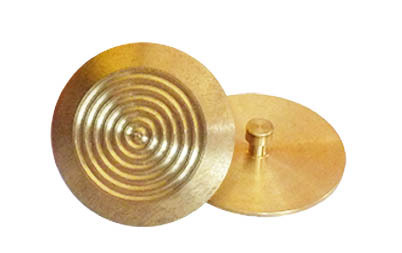 -Can be installed on any flat ceramic or concrete surface. -Tested to Australian standards, P5 slip rated. Stainless steel Dovetail is a Novaproducts Patented design with a Negative Groove and Boss Feature. This has been designed in a way that the glue can mould around the tactile to ensure maximum strength in the tactile. Perfect for use in areas such as Hospitals where noisy installations is an issue. 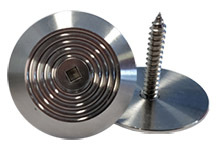 Dovetail TGSI’s can be installed on any flat ceramic or concrete surface. 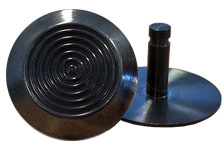 -Tested to Australian Standard, P5 slip rated. 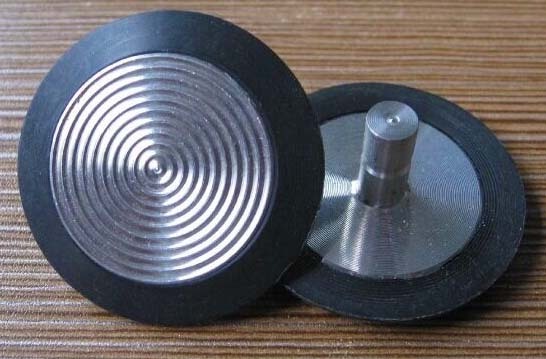 -Bang-in style with nylon plug also available. The Stemback 2810 has a 20mm Stem. 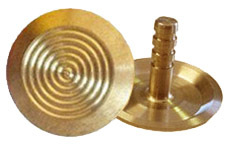 Apart from Carpet, Stemback TGSI’s are designed to be installed into any surface by drilling approximately 8mm hole, inserting plugs and glue to ensure a secure fix. Refer to Installation Manual from Novaproducts Global for further information. -Supplied with Screws and plugs. 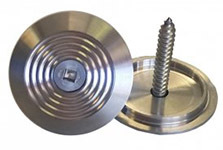 Stainless steel Strong Hold Tactile is a screw fix Tactile which can be installed on surfaces such as Wood, Concrete, Tiles and most other Smooth Surfaces. Refer to Installation Manual from Novaproducts Global for further information. Stainless steel Texbase is a registered design for installation on carpet. Texbase has a ring on the base with countersunk hole on top for fixing with a Cross Drive screw to the floor. Other screws available upon request. 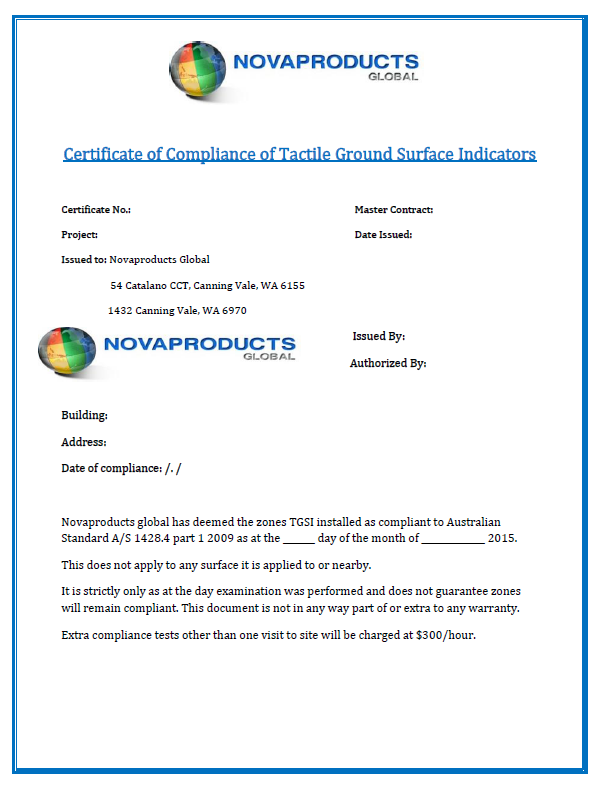 Note: Novaproduts may require a sample of carpet and underlay as Texbase is custom adjusted to some carpets and is not suited to loop pile broadloom. -Recommended for installation TacAlert Fix Adhesive. 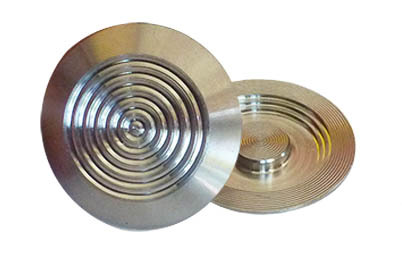 Stainless steel Tactile has a Flat back surface (no stem) and is manufactured in a 316 Marine Grade stainless steel. The Flatback Tactile is perfect for a quite and easy installation on smooth surfaces like Tiles. Clean and dry the area and ensure it is free of dirt and moisture, then stick the Tactiles to the surface with an epoxy based glue. Ideal for retro fitting old buildings. Wide range available. -Requires 60% contrast with floor surface. Used for escalators. Ideal for carpet floors to maintain stud height and compliance. Stainless steel Stemback Tactile comes in two different options. The Stemback 2810 which has a 6mm stem and the Stemback 2810L which has a 20mm Stem. 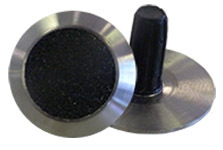 Apart from Carpet, Stemback TGSI’s are designed to be installed into any surface by drilling approximately 8mm hole, inserting plugs and glue to ensure a secure fix. Refer to Installation Manual from Novaproducts Global for further information.